We also do auto electrical and mechanical repairs. Uniquely, we are a first for Marlborough and offer true value and top customer service from our hard working team of automotive professionals. Quite simply, Instant Auto is not like any other vehicle service provider in town. We offer the only express service operation in Marlborough. Our service covers all vehicles - cars, 4x4 and light commercial. Quality and attention to detail is second to none – we offer service, oil change, filters, automatic transmission flushing, Auto air-conditioning and recharging with flexible packages available to suit every need! It’s all in the speed - for regular oil change service there is no booking required and service completed in 10 minutes or less. This can’t be beaten. Instant Auto is now an MTA assured provider of services. Now not only do customers get the best priced and fastest service in town, they can rest assured that our work meets best industry standards. We also accept MTA vouchers and cards as well as being supported by the Motor Trade Associations knowledge base. 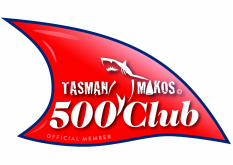 Instant Auto are proud to be 500 club sponsors of the mighty Tasman Makos. FINNS UP!